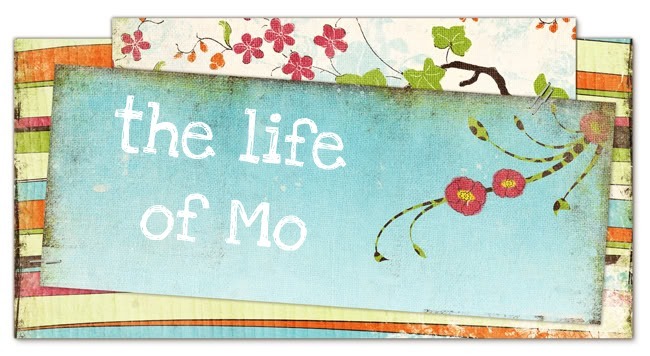 The Life of Mo: 12 weeks! 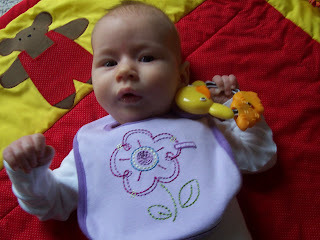 Cadence is 12 weeks old! It's gone by so quickly. Despite the cold/congestion she and I are suffering from, she continues to be a charmer and is doing some cool new things. She always smiles at me in the mornings now. 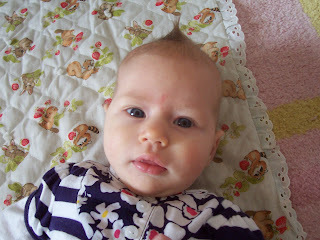 She's lost most of her hair, except a little mohawk on top - here styled by her Uncle Matty during his Thanksgiving visit. 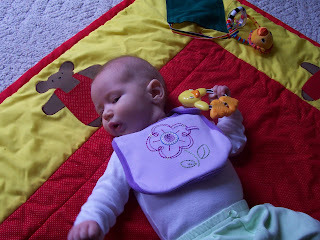 She rolled over the other day, which I think was just luck - we'll see if she can do it again sometime soon. 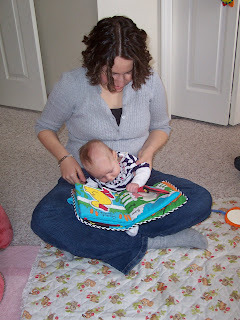 She likes to hold her rattles and was fascinated by her cloth book this weekend. I am not crazy about working and being away from her. I guess that is to be expected. It's frustrating that she is ready for bed not long after I get home. 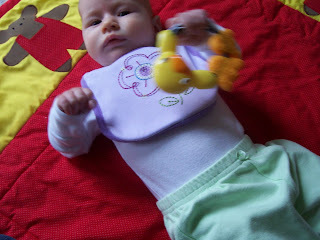 We're making the most of the time we do have together, and I think that's the best any parent can do, right? You are a wonderful, sweet, caring Mother and Cadence will always know that. She is adorable in these pictures. I miss her. Yes you are doing good for her and you. Even as things get harder, you will know what is right for both of you. Don't let anyone else make that decision for your family. Those moments that you spend in the evening with her are enough for her...don't worry about that! "We're gonna be okay, right?"